Too many designers, marketers and concerned observers have declared universal design to be the universal answer to meet the new needs of the growing numbers of older baby boomer consumers. While not altogether incorrect, they are woefully incomplete in their hopes and claims. Universal design and ease of use is not the secret sauce for business to deliver value in an aging marketplace. Even if an older consumer can easily use a technology, they must value its functionality before investing the money, time to learn, let alone adopt a new way to do tasks that they may already achieve with 'tried and true' methods. Product developers and designers have often neglected how product value changes with age. Novelty alone often makes a compelling case for younger users to adopt a new device. Younger buyers are likely to purchase a product because it is a ‘must have’ fashion statement and adoption of a new product is sometimes more important for what it ‘says about me’ than ‘what it does for me’. It would be a mistake to suggest that people lose their desire to be fashionable with each birthday. A quick look at the growing sales of beauty products and boutique clothing stores catering to older baby boomer consumers shows that older age does not mean 'old'. Older consumers want fashion as much as their younger friends – they just want that and more. Research suggests that older users critically assess whether a new technology clearly provides greater value than the existing means they use to satisfy a given need before spending money or time. If the value is not appreciably greater than the existing means, then the likelihood of spending the time to learn how to use, let alone adopt, the technology is very low. Consider the personal digital assistant or PDA. 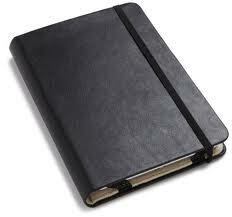 In addition to their inherent usability issues, PDA adoption has had its greatest competition from a time tested favorite technology -- the moleskin notebook. An older adult who manages only 100 or so contacts and enjoys the other ‘scribbles’ they put in their 'paper-based handheld' is not likely to invest time or money in a PDA. Likewise, travelers that frequent local and familiar roads – roads that they may have traveled for decades – are not candidates for in-vehicle navigation systems. Often, the reason older consumers do not adopt these technologies is not due to "techno-phobia" nor usability. Instead, the technologies have failed to provide compelling value to a more discriminating consumer. The 'digital divide' between old and young is closing. The number of older 'digirati' is growing - not because personal computer interface has dramatically improved, but because the personal computer's value proposition has been reframed over the last decade. 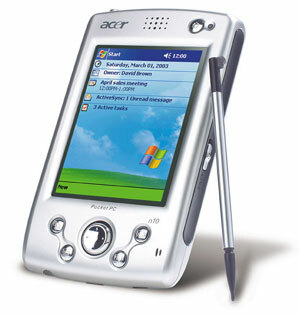 Presenting the personal computer as a more efficient word processor, financial management or research tool did not provide a case for older users to invest their time to learn the technology. Instead redefining the value of email (or more recently social media) as a means of remaining connected to friends and family (grandchildren) has made a compelling 'personal business case' to overcome cost and aggravation. The promise of social ‘connectivity’ made learning to use and adoption of the personal computer worth the time, making the 50+ age group among the fastest growing populations on the internet. But, there is more to the design experience than fashion and function. What about fun? Nintendo has proven that age is not a barrier to technology use and adoption. How? Designing devices to be usable, functional and fun are key ingredients to Nintendo's global success with Wii. The much heralded Wii Fit has shown remarkable older adult adoption across the world. New Age Concern in the UK, for example, has teamed with Sports Leaders UK to introduce older adults to Wii Fit in multiple community centers. 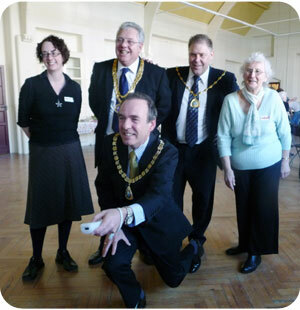 The photo on the right shows the mayors of Peacehaven, Newhaven and Telscombe, UK in a Nintendo Wii Fit warm up session at a senior center. 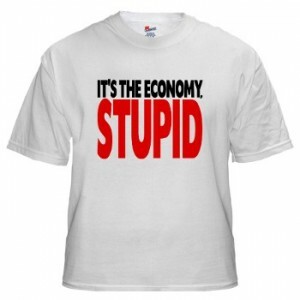 "It's the value stupid." Product development and design for an older consumer has focused primarily on the most basic needs of usability. Usability, universal or otherwise, is a necessary but not a sufficient condition of product purchase, adoption and use. The older buyer is the new alpha-consumer demanding a complete and integrated package of high usability, high fashion, high function, and ultimately - high value. Beige is not a color. Quite often the noble focus on usability has resulted in less than exciting products. Health-related devices and mobile phones, for example, often have easy-to-read easy-to-use interfaces but are typically packaged in basic beige or clinical blue with limited functionality. Designers must see universal design principles as a beginning, not an end. Exciting and delighting the customer is a requirement at all ages. Show me the fun. There is no physiological nor psychological reason why fun is not a design element for older adults. Rather than a problem of the user, it is instead the lack of imagination of designers, engineers and market researchers. Products such as Nintendo's Wii, even 'old fashioned' card games, show that older consumers must be made excited to buy, use and adopt.